... and have fun doing it! Want to learn how to train for a marathon? This marathon training book will show you the way. The website only teaches you the physical part of training. The book teaches you the other 75% of training: The Mental Side. No matter how fit (or unfit) you are, the mental side will not only help you to finish your first marathon, but will help you have fun doing it…and help in every other facet of your life. And it’s even backed by a money-back guarantee. Marathon Rookie: How to Train for a Marathon...and have fun doing it! is your proven guide. This fun-to-read eBook will teach you everything you need to know about successful marathon training and preparation for the big day. You will feel inspired, gain the need-to-know knowledge, and create the mindset of a marathon runner. You will create a vision for yourself that you will bring into reality on marathon day. Can you really run a 26.2-mile marathon? You can if you want to, you know why you want to, and you prepare mentally, physically, and nutritionally. You will learn how to train for a marathon - safely. 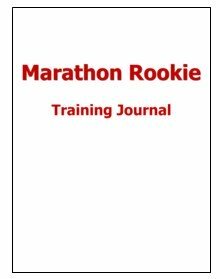 Buy now and receive the Marathon Rookie Training eJournal to track your progress and the 10 Meals for Nutrition in Training eBook FREE. In seconds after placing your order, you will receive an email that will instruct you on how to download your eBook and free bonus. Guarantee: Should you not be 100% satisfied with this eBook, just email me within 45 days of the purchase date and I will refund you the full amount. 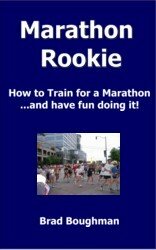 Thank you for ordering Marathon Rookie: How to Train for a Marathon...and have fun doing it!